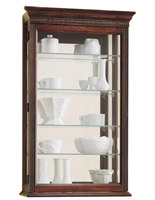 This curio cabinet is a great wood display case. 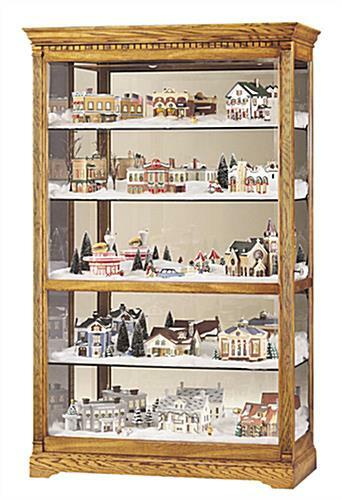 The Parkview continues to be a favorite with homeowners, schools, libraries, churches and businesses. 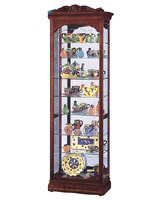 A traditional appearance with solid hardwood construction makes this wood display case an ideal accent for your home. 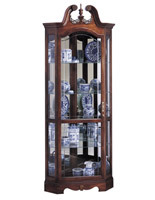 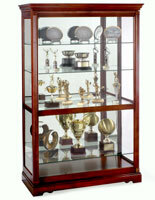 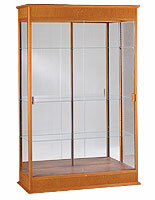 The curio cabinet, wood display case features extra thick glass shelves making it a great investment. 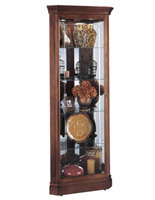 These wood display cases are crafted from only the finest, hand-selected hardwoods. 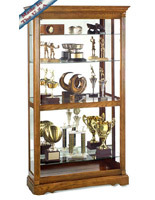 Buying a wood display case from Howard Miller means you are buying a top quality piece of furniture, crafted so well and made from such fine materials, it is sure to be passed down from generation to generation, as a family heirloom. 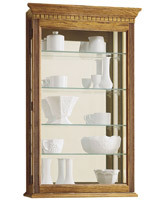 This wood display case weighs 315 lbs, ships FREIGHT.